Over 21 years of experience helping people accomplish their goals and bring wrongdoers to justice. We provide wills, trusts, deeds and power of attorney forms to help clients determine who should receive assets or avoid probate of their assets. We remove much of the burden on the family or friends by assisting in the administration of wills and trusts or navigate the Probate Court system. We will sue people that take advantage of others by forging deeds, adding names to bank accounts, stealing money or property, We also help Landlords buy properties, draft leases and notices, evict non-paying tenants from rental properties in a swift and efficient manor and get the back rent paid. We have corrected title problems that prevent clients from selling, buying or mortgaging real estate. We look forward to helping you with your particular legal situation. It is always best to be prepared and make sure your wills and trusts are set up correctly. Correct and complete Estate Planning will avoid confusion and insure the clients wishes are carried out as planned. Being in charge an Estate or Trust can often feel like a second job. The team at John R. Tatone & Associates has been through the administration of wills and trust so often, it's like second nature. We take the burden from the person appointed in a trust or will. We keep the client informed at each stage of the process whether by phone, e-mail or an in person meeting. We provide the information that clients need to successfully complete administration of the estate or trust of a loved one. In many cases, we find assets that others either forgot or never knew existed. In most of our administration cases, the clients do not go to court. Whether you are appointed as Personal Representative (Executor), Trustee, Conservator, Guardian or Attorney-in-fact under a power of attorney, we will help you navigate the Probate Court and fulfill your duties. Occasionally there are court battles. A will or trust may be created under unusual circumstances. The money that was once in the account is now gone. The decedent's home was invaded by family and friends after the funeral (or before) and valuable items are missing. We have seen these and many other types of cases. Our extensive experience allows us to inform the client on the strengths and weaknesses of each case and what to expect before, during and after a court hearing. We can estimate total costs and time, so you know if it worth the fight. Our law office understands that when people hire an attorney, they are often experiencing very stressful situations, including the loss of a loved one. These people need someone who cares about them. 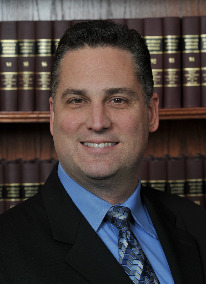 John R. Tatone & Associates makes sure our clients not only receive high-quality legal services, but also the support and resources they deserve.